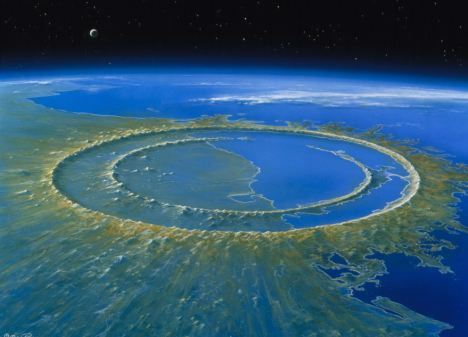 The Chicxilub crater that is thought to be the impact site for the asteroid that killed the dinosaurs (Credits: D. Van Ravenswaay/Science Photo Library). This article is the second in the series “Taking Potentially Hazardous Asteroids (PHAs) Seriously” by Joseph N. Pelton, President, International Space Safety Foundation and Chair, IAASS Academic Committee. The prime instrument we now have to assess the threat of Potentially Hazardous Asteroids is called the Wide-Field Infra-Red Survey Explorer (WISE). The good news from NASA is that the latest survey by the WISE infra-red telescope significantly lowers the number of midsize near-Earth and potentially hazardous asteroids to a number that is about 19,500. This is about half the original estimate of 35,000. The trouble is that this is a ‘statistical calculation’ rather than a figure based on actual observations. The most troubling information of all is that most (i.e. about 80%) of midsize asteroids (from 100 meters to 1000 meters) still remain to be discovered. We sometimes forget that it does not matter if the “killer asteroid” that hits Earth comes from an orbit visible from the Southern or Northern Hemisphere. The truth is that we have historically been able to identify many more threats from Northern observatory locations than from the South, but that to get a true fix on the number of potentially hazardous asteroids (PHA) we need better space telescopes designed for this purpose. It is certainly a sign of progress that NASA now believes it has located more than 90 percent of the largest near-Earth asteroids (i.e. those over 1000 meters in diameter), but this still leaves an estimated ten percent unaccounted for. These “largest near earth asteroids” are of the size thought to have led to the dinosaurs’ extinction 65 million years ago. Clearly it is this type of asteroids that would create a category 10 disaster as measured on the Torino Scale discussed in the first article in this series. But let’s not forget that there are perhaps 20,000 (more or less) mid-sized Near-Earth Objects (NEOs) we need to worry about –and these are still very serious threats. Even if a NEO the size of the potentially hazardous asteroid Apophis, which is well under 1000 meters, hit Earth it still has the estimated kinetic energy equivalent to some 30,000 atomic bombs. In short, a medium sized NEO is still a big time threat and these have to-date only been about 20% identified. We need to proceed in the next decade to develop new tools to create a better space situational awareness that will detect all of the potentially killer NEOs and also to begin to develop means to deflect these asteroids away from Earth. What can we say for sure about the threats we can now perceive? Not a great deal with any accuracy. The recently discovered Asteroid 2011 AG5 (first noted in January 2011) could clobber us in 2040 if it should hit the so-called “gravitation keyhole” as it circles the sun. Then another possibility is the obscurely designated 1999 RQ36. 1999 radar image of asteroid 1999 RQ36 taken from NASA’s Deep Space Network antenna in Goldstone, California (Credits: NASA/JPL-Caltech). This asteroid, 1999 RQ36, is now thought to have a remote chance of actually hitting the Earth at some point before the year 2200, but is most likely to hit us on 24th September 2182. Grandkids beware!! The problem with 1999RQ36 is the crowd that he hangs around with. Actually this asteroid is within a crowd of asteroids that are all characterized as NEOs. The danger is really not only from just this one asteroid but from the larger cluster. In the nearer term, the troublesome Apophis apparently has much less chance of hitting Earth that earlier thought. This asteroid comes by in 2025 and again in 2036 after having its orbit affected by flying by our planet on the earlier date. But there is a real problem with all these calculations: the uncertainty in calculating near-Earth asteroid paths because of the so-called Yarkovsky effect. The Yarkovsky effect, is named after a Russian engineer who noted the fact that solar energy is absorbed and reradiated by asteroids in a way that slightly alters their path. Also the gravitational effects of other planetary bodies can also alters the orbit of these NEOs—including of course an earlier flight by Earth. The path of Apophis is a case in point. Apophis is expected to fly by the Earth and the Moon in 2025. The gravity of both bodies could impact Apophis so that it comes much closer when it returns in 2036, and so on. The reasonably good news is that we, with our limited space observatories, have no specific information of a truly imminent threat from a NEO that could do devastating harm. We presumably have time to develop technology that would allow us in several decades to have the technology that could divert a “killer asteroid” away from Earth. The trouble is that our inventory is still incomplete and there could still be a lethal asteroid lurking outside of our viewing range. An asteroid that is currently on the other side of the Sun and only 300 or 400 meters in size is actually a very hard thing to spot—and yet very, very dangerous. The immediate objective and a logical next step forward is to plan and deploy a next generation of Wide-Field Infra-red Survey Explorer with perhaps ten to a hundred times greater resolution and the ability to go from a even wider field of view to a much narrower one. This narrowed range of view would allow such a telescope to focus in on a target of Near Earth Asteroid clusters once specific candidates are identified. This could allow us to create a complete inventory of large and medium-sized NEOs that could pose a future threat. Even if an asteroid as small as 100 to 200 meters were to crash into an ocean near New York, Tokyo, London, or Shanghai it could destroy these cities and take tens of millions of lives. Bigger asteroids could of course do much greater damage. Delay in developing new space tools and finding effective ways to divert NEOs is not wise. It would be ironic if Arthur C. Clarke’s ironic remark about dinosaurs not surviving due to the lack of space technology should one day also apply to humanity.